District heat is the designation for thermal energy transport from generator to consumer by an insulated pipeline network normally laid underground–mainly for central heating, but also for hot water supply in buildings. Thus commercial district heat are built up densely in urban areas to decrease the potential fire hazard. District heat can be relied on at all times. It flows whenever it is needed. District heat is also particularly environment-friendly, since less CO2 and other exhaust gases harmful to the climate which are released in producing the useful energy. 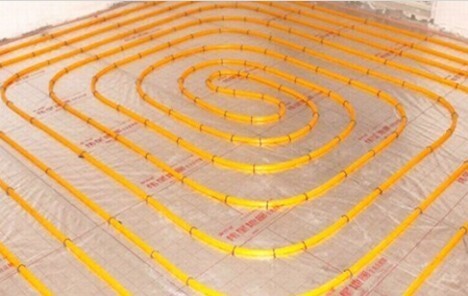 Originally, district heat transport pipelines were made of steel pipes with a porous concrete jacket, or pipelines consisting of two metal pipes with a mineral wool insulation layer were used. Today, plastic jacket pipes are in use, with the insulation being provided by a layer of plastics. Plastic jacket pipes are ideally suited for district heat transport, as they offer the advantages of extremely easy, low-cost laying and easy maintenance. They also have a long service life of more than 30 years and are resistant to chemicals and salts, physical impact and, above all, corrosion. Their greatest benefit, however, lies in their low effective heat loss, that is, their optimal insulation performance, which is about 40% above that of conventional pipes. For the last 20 years, pipe systems made wholly of plastics have also been used for district heat transport. Due to the high pressure and heat-resistance requirements, the innermost medium pipe is produced mainly from PE-X/Aluminum or polybutene.